Miami- Lara Escobio O’Donnell has joined Berger Singerman as an Associate in the Miami Office. 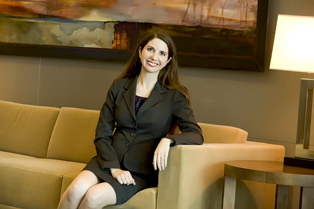 Ms. O’Donnell concentrates her practice in complex commercial litigation in federal and state courts throughout the United States. Her experience includes the areas of life insurance and annuities, health care, property and casualty, consumer finance and banking, environmental law, Indian law, criminal defense, and appeals. Lara has experience representing financial institutions in a range of complex matters, including extensive experience in class actions. Lara is fluent in Spanish. Prior to joining Berger Singerman, Lara clerked for the Honorable Peter T. Fay in the United States Court of Appeals for the Eleventh Circuit. She also served as a legal intern in the Appellate Division of the United States Attorney’s Office for the Southern District of Florida.